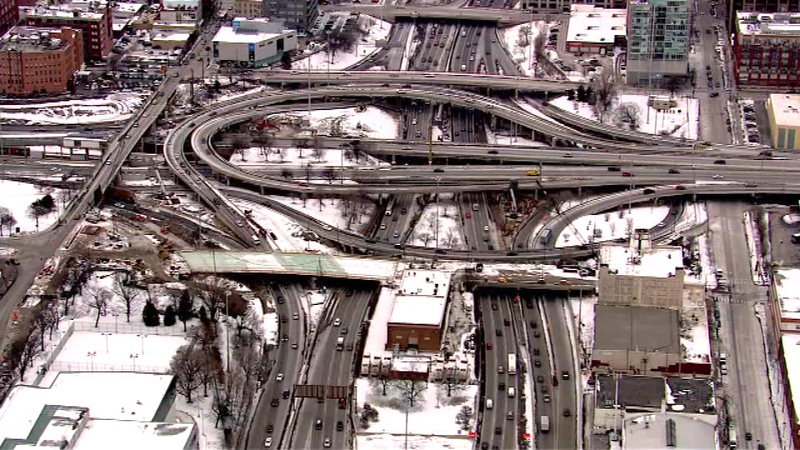 CHICAGO (WLS) -- Driving to and from the downtown area is about to get a lot more difficult as crews get ready to construct a new fly-over bridge on the Jane Byrne Interchange. The interchange is widely considered one of the worst traffic bottle-necks in the country. The new bridge is promised to relieve congestion. Starting March 7 the ramp from the inbound Dan Ryan to inbound congress parkway will be closed. Both inbound and outbound Stevenson Expressway ramps to the Ryan will be reduced from two lanes to one. Also, the ramp from Roosevelt Road to the Eisenhower will be shut down.